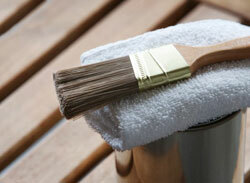 We use only the highest quality stains and sealers available. The Superdeck products are our first choice. We hand apply your stain/sealer one section at a time, this ensures a nice even finish. We always take extra precaution when applying any stains or sealers to your deck. With a name like Spotless, we have to be extra careful; treating every job like it was our own!